Kevin Johnson has been named the new chair of the BCTA after the organization held elections to pick its new board of directors and executive committee. LANGLEY, B.C. – There is new leadership at the British Columbia Trucking Association (BCTA). The organization held an election to pick its board of directors, its executive committee and its incoming chair for the 2014-2015 year. Kevin Johnson, vice-president of Coastal Pacific Xpress Inc., was chosen to lead the seven-member (including Johnson) executive committee as the new chair. A member of the executive committee since 2009, Johnson started as an owner/operator doing overnight deliveries for Coastal before becoming a driver trainer. He then took on the positions of driver resource manager, operations manager, director of corporate governance and finally vice-president. 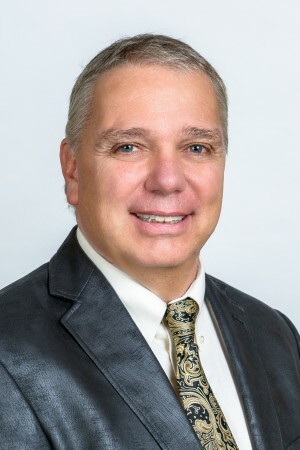 Johnson has also served on the Canadian Trucking Alliance’s (CTA) board of directors and he represents the BCTA on the CTA’s Blue Ribbon Task for on the Driver Shortage. Working alongside Johnson on the executive committee are the first vice-chair Trevor Sawkins of Coldstar Freight Systems Inc. in Victoria, second vice-chair Ken Johnson of Ken Johnson Trucking Ltd. in Langley, secretary/treasurer Gerry Cullen of Western Star & Sterling Trucks of Vancouver Inc. in Surrey, immediate past chair Greg Munden of Munden Ventures Ltd. in Kamloops, the associate members’ representative Ben Boon of Chevron Canada Ltd. in Vancouver, and director-at-large Phil Bandstra of Bandstra Transportation Systems Ltd. in Smithers. For a complete list of the full board of directors, see the BCTA website.